We've tried for years to find a good source of true Szechuan peppercorn, also called Schezuan and Sichuan. In appearance and texture these look like true peppercorn but Szechuan does not grown on a vine, and the flavor is very special--totally unlike traditional black and white pepper. The fragrant pods are somewhat like flowers, with a rich citrus/anise/ginger taste that numbs your tongue. No bitter flavor at all! 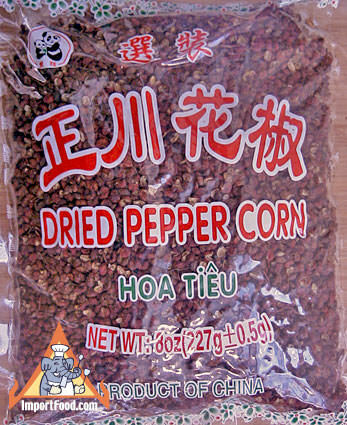 A lot of Chinese recipes use this pepper, and we are offering a large bag which will no doubt last a long time. 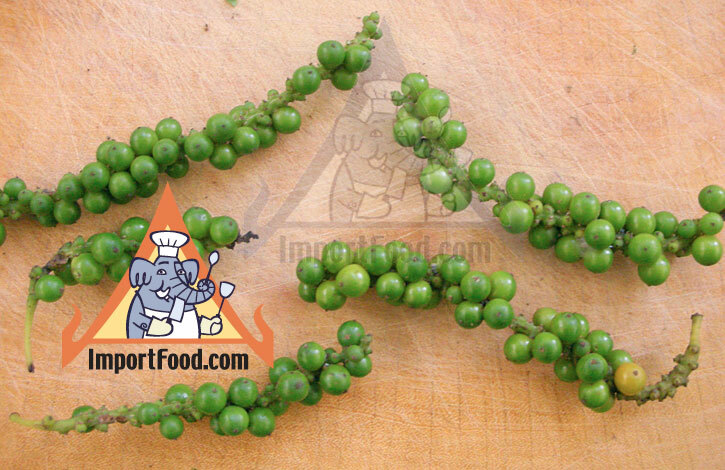 We developed a very good recipe for Thai-Chinese Szechuan Chicken, using this peppercorn. Also try it in Khao Kha Moo (pork leg soup) for great results. A healthy soup option: chicken and noodles in spiced broth. Get to know and love this rare pepper, use it as a seasoning for all kinds of meat, soups & stir-fry. This is a fresh pack loaded with flavor. Ingredients: 100% peppercorn. Product of China.